What can you make with an over sized hole punch? 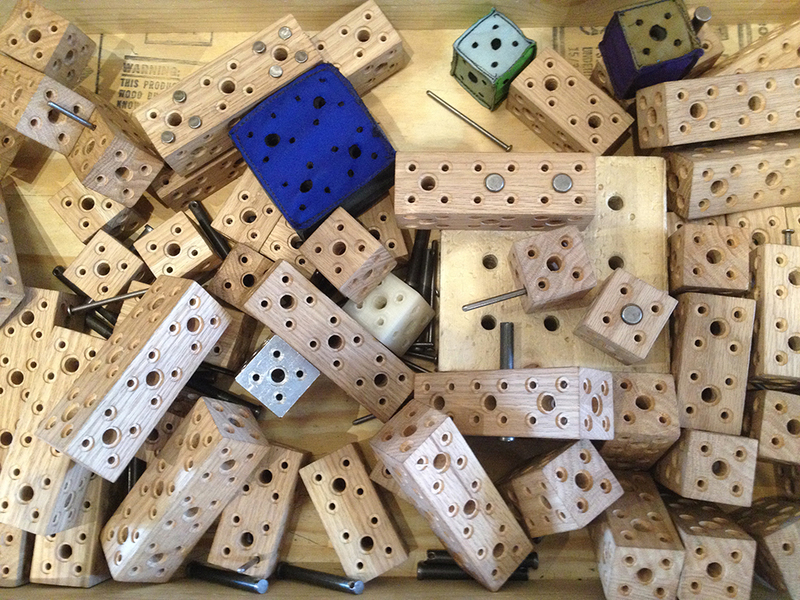 A couple of days ago a visitor created a really cool marble maze puzzle type thing. He spent a long time just tinkering with all of the different pieces of recycled materials in MAKESHOP. 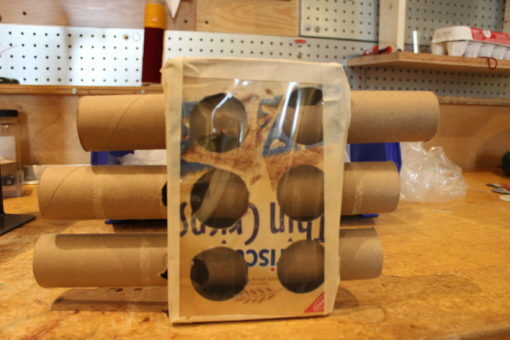 He eventually settled on using several tubes and a cardboard box that already had some holes punched out of it. After some collaboration and brainstorming, the two of us came up with the idea of making some sort of marble puzzle using the tubes. The end result was a functioning toy. You don’t need fancy materials and store bought stuff to create something fun and enjoyable. Sometimes all you need are some cardboard tubes and a hole punch.